With a unique mix of passionate revelation and quirky humor, River Jordan takes us on a journey through her Southern childhood to her present-day life as a novelist. Her stories run the gamut from dancing disco nights and midnight desert rides to surprise visitations with the Divine. Included are comforting letters to personal friends and loved ones about faith, death, heartbreaks and their futures. 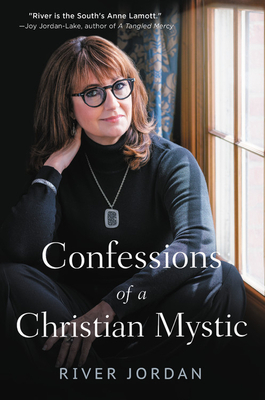 Confessions of a Christian Mystic is a highly original work about an extraordinary faith that never loses touch with current culture or everyday realities. Jordan invites us to join in on her wild ride searching for the holy mysteries of God. This haunting work will leave you deeply comforted and full of hope. Hailed as "a book for our times," Confessions gently leads us closer to that Divine mystery that shapes us and gives us life.